In business circles, at conferences, and in management literature, it is now commonplace to hear that corporate social responsibility (CSR) is dead! This is surely so if this means CSR is only about philanthropy. But perhaps its death knell also reflects the view that CSR has been sidelined by efforts to give the firm a more noble purpose and connection to stakeholders (Conscious Capitalism) and to use corporate assets to create value for both the business and society (Shared Value). End of story? Not so fast. In our fieldwork, we also discovered that some leading companies were not simply folding CSR into the business but rather pivoting to social innovation—creating something “new” for both the business and society. We witnessed design thinking workshops, incubators, accelerators, and hackathons in firms; visited maker spaces and met employees fired-up by social innovation contests. This was not on the sidelines nor just part of routine business—it was happening in R&D, in product and process development groups, on the web, and out in consumer markets and communities. Innovation is a key driver of business growth and essential to sharpening and sustaining competitive advantage. But as core as innovation has been to the DNA of firms, it has not been an integral part of a corporation’s engagement with society. In 2015, The Dow Chemical Company was set to establish new 10-year sustainability goals. Over the previous ten years, the company had achieved a 90 percent improvement in its energy and water use and cut its waste by 1.6 billion pounds. But aggressive new targets proposed by Neil Hawkins, VP of Sustainability, were greeted with a ho-hum from top management. Dow would instead aim for a five-fold increase in sales of products using “green chemistry” and pledged to develop three breakthroughs from its labs that would address big societal issues. In late 2016, we headed to the office of Stan Litow, head of Corporate Citizenship of IBM. But there was a hitch: Stan had moved from the corporate office at Rockefeller Center to IBM’s Watson Center near NYU. When we caught up with him, we learned that IBM’s Watson computer had moved from competing (and winning) on the game show Jeopardy! to treating cancers through cognitive computing. What’s going on in these companies (and other “first movers” around the world)? Is this CSR (IBM) and sustainability (Dow) on steroids? 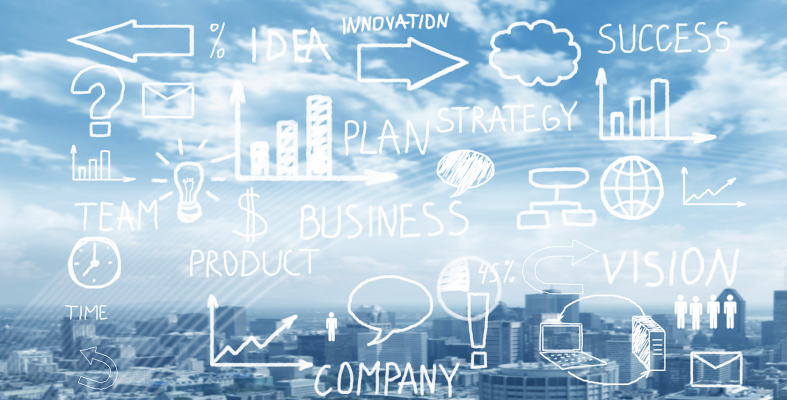 Or is social innovation coming to life in business? Our answer: All of the above. Businesses today face three interlocking challenges: shareholder demands for growth, employee desire for meaning from work, and rising public expectations that they address social, economic, and environmental challenges. Recently, we prepared a report for the Conference Board (available for FREE DOWNLOAD) on how leading firms are tackling these three challenges simultaneously by turning to CSI and innovating for a better world. Social innovation incubators. Barclays Social Innovation Facility is an internal accelerator for the multinational banking company to develop commercial finance solutions to social and environmental challenges. Employees at Barclays develop their ideas in a three-day intrapreneur lab, then receive three months of internal mentoring before pitching their innovations to senior executives. Projects launched include a credit card aimed at millennials that “rounds up” the charge at bank expense and donates the added funds to social purposes, loans with reduced credit charges for consumers who otherwise wouldn’t qualify for such rates, and a suite of impact investing products. Global Pro Bono. Major corporations have sponsored employee volunteerism for many years. With the advent of global pro bono programs, they are expanding their scale and turning their focus to social innovation. In many of these efforts, innovation is about problem solving and involves thinking and doing things in a different way. The employees working on pro bono consulting projects bring business thinking, management tools, and technology to their assignments while local clients challenge them with complex social issues and novel perspectives unimagined in their corporate jobs. The task is to co-create solutions to the problems at hand—something that actually works. To date we have identified 39 companies that sponsor Global Pro Bono service programs, many of them supported by PYXERA Global. Sustainable Community Development. The Joint Initiative for Village Advancement (JIVA) program supported by John Deere in three rural villages of Rajasthan, India takes an integrated approach to community development. Components of the program, designed with PYXERA Global, include a “train the trainer” model that enables farmers to become change agents in their communities, an education program, and basic infrastructure development, involving construction of toilets, washbasins, and the like. Plainly, this is a philanthropic effort by Deere, who aspires to be more than a monetary donor;  it is, according to company executives, “seeking to be an active partner and catalyst for meaningful development work.” In so doing, it has also forged connections with the local university of agriculture and technology and Jatan Sansthan, a local grass-roots community resource group in Rajasthan. Our report on the New Business of Business provides many other examples of companies investing in new innovation sources and methods, including partnerships with social entrepreneurs and employee “intrapreneurs,” to generate new products, unlock markets, and engage in creative philanthropy—all of which address social challenges while supporting business reputation and growth. 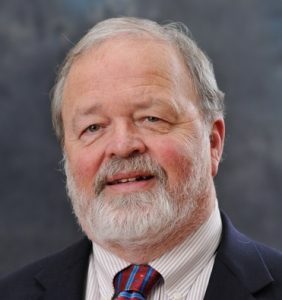 Bradley K. Googins, Ph.D. Currently, he is a Visiting Professor of Strategy at the Catholic University of Milan and a Senior Fellow at the Lewis Institute on Social Innovation Babson College. His primary focus is on Social Entrepreneurship and Innovation. He also serves as a Senior Fellow for E4Impact Africa, an initiative creating the next generation of entrepreneurs in Africa and building the capacity of African Universities in entrepreneurship. Bradley K. Googins was a Professor in Organizational Studies at the Boston College’s Carroll School of Management. From 1997-2009 he was also the Executive Director of the Boston College Center for Corporate Citizenship, a research and education center with over 300 leading corporations as members that served as a leading voice in the U.S. on the role of business in society. He was the founder of the Global Education and Research Network, a group of 12 of the leading CSR institutions across the globe from Latin America, Asia, and Europe.